Cleveland SC picked up a crucial win and badly needed clean sheet in a 3-0 win against Fort Pitt Regiment. CSC was able to gain the upper hand on an opponent early and then capitalize on their advantage and defensive prowess to see the result through. The three points adds separation between Cleveland SC and the Regiment as the two battle with FC Buffalo for the final conference playoff spot. Goals from James Haupt, Admir Suljevic and Mike Derezic momentarily propel the club to second in the table as it prepares for a Friday bout with Erie Commodores FC. Cleveland SC came out of the gates on fire Tuesday with a flurry of first-half chances on Regiment goalkeeper Robert McKelvey, who responded with some extraordinary saves off a 20’ Antonio Manfut volley and a 26’ free kick. The pressure finally led to Cleveland SC getting one on the scoreboard after a Manfut shot was stopped by McKelvey but landed to an open James Haupt, who took advantage of the opportunity with his first goal of the season. 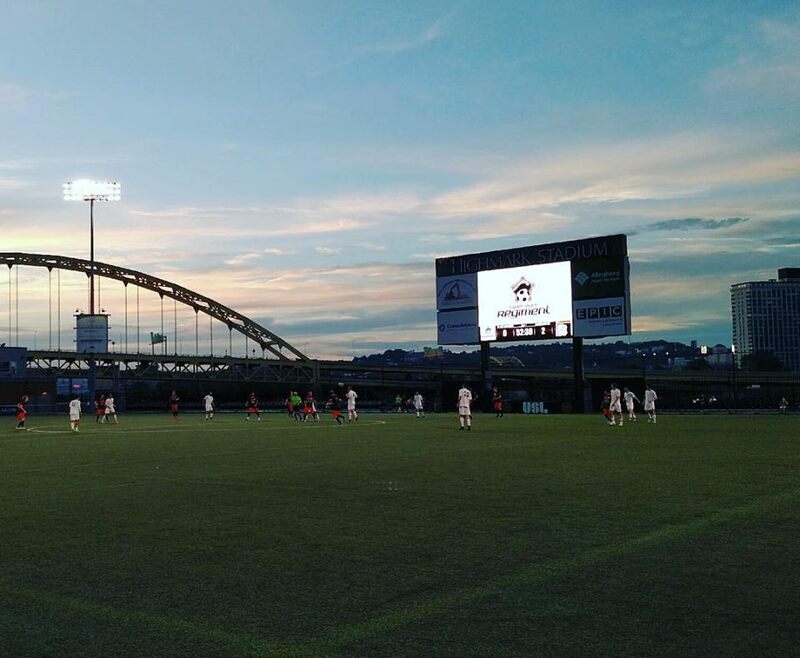 The orange-and-black kept the pressure on in the second half as right back Chris Cvecko made a run into the Fort Pitt penalty area and was taken down by a defender for a penalty kick. Admir Suljevic stepped to the spot in the 51’ and converted to double Cleveland SC’s lead. Fort Pitt responded with a dangerous chance in the 55’ after drawing a foul near Cleveland SC’s goal area. The ensuing free kick by Lucas Canineu was blasted off the crossbar and Max Flick’s rebound was shot well over Marijo Musa and the Cleveland SC goal. Fort Pitt once again nearly brought one back again in the 67’ when Joaquin Vicent Franch’s close range shot was saved by Musa. A couple corner kicks also threatened Cleveland SC midway through the second-half but were easily cleared from danger. After absorbing pressure for a decent portion of the second half, Mike Derezic finally put the match out of reach with a goal in the 82’ off a well-placed Mac Curran pass. The man of the match was Mikey Derezic.